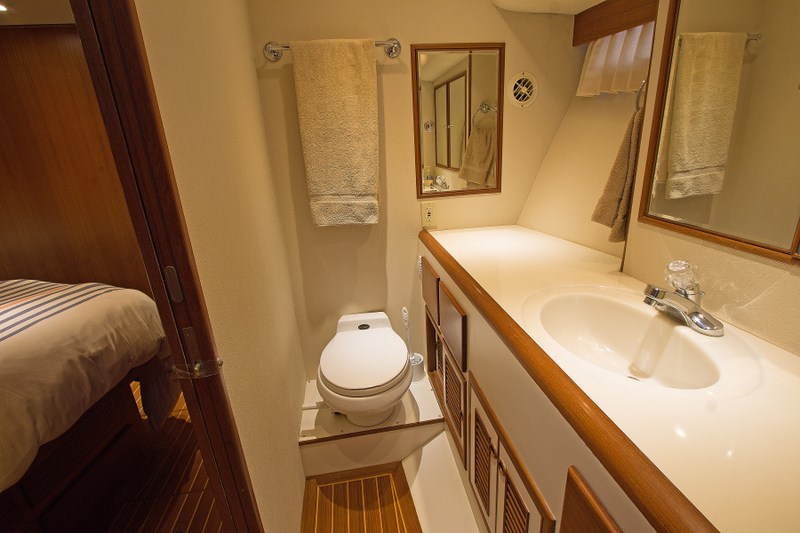 A very well‐designed cruising boat for the serious coastal and/or offshore cruiser. 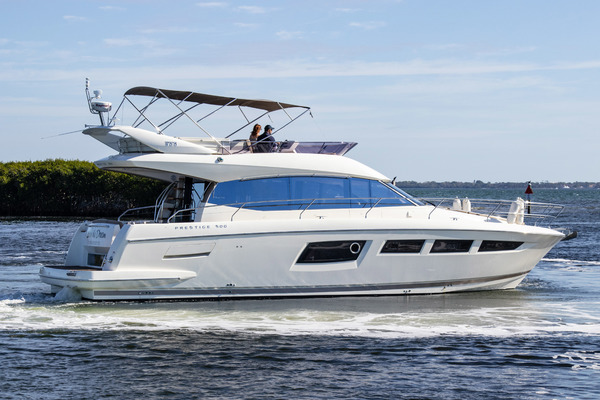 This model features very wide protected side decks with tall bulwarks and secure railings all the way around and an overhang from the pilothouse aft including the forward portion of the cockpit. 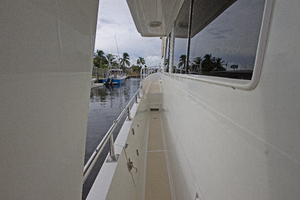 This vessel can be entered from the cockpit directly into the salon or from the side decks (port and starboard) directly into the raised pilothouse. 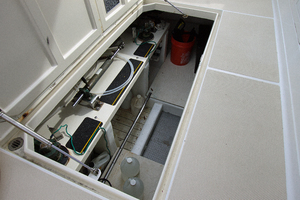 The large flybridge can be reached from the cockpit via a ladder through a hatch in the overhead or from inside the pilothouse. The flybridge has a forward helm station on the centerline with full electronics and (2) helm chairs. She has a wet bar with refrigerator and large cabinet, an L‐shaped settee with table and a large deck space aft for dinghy storage. 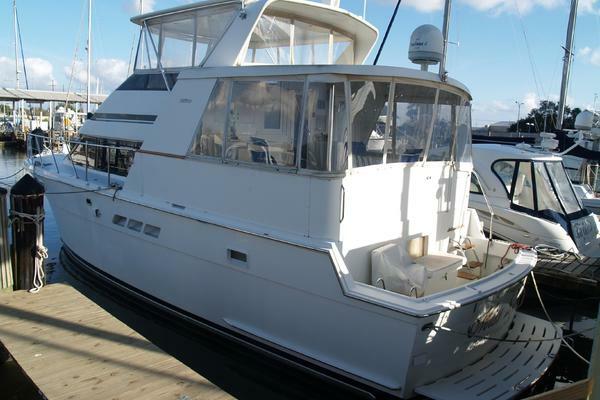 West Florida Yachts would love to guide you through a personal showing of this 48' Offshore Yachts Pilothouse 1999. 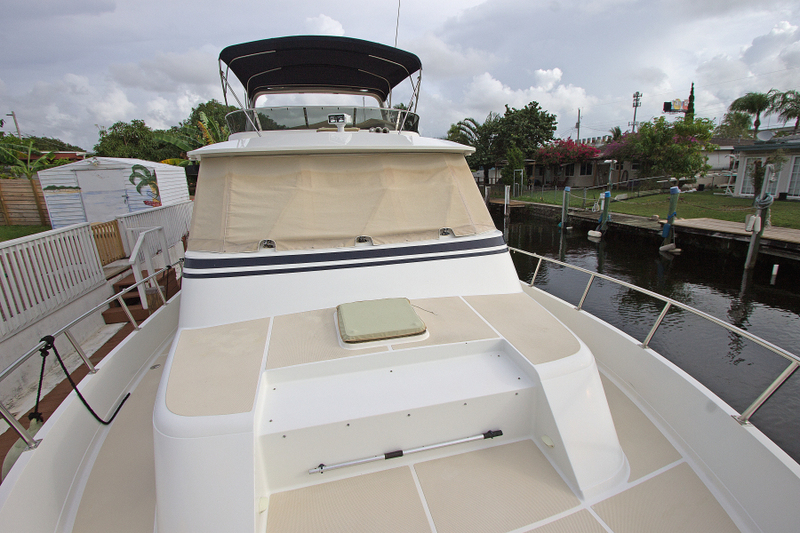 This yacht for sale is located in Fort Lauderdale, Florida and priced at $479,000. For a showing please contact us by filling out the form on this page and we will get back to you shortly! 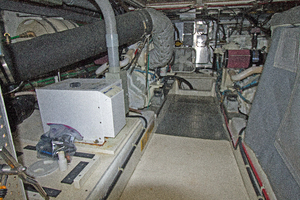 Located aft with sliding door to cockpit. 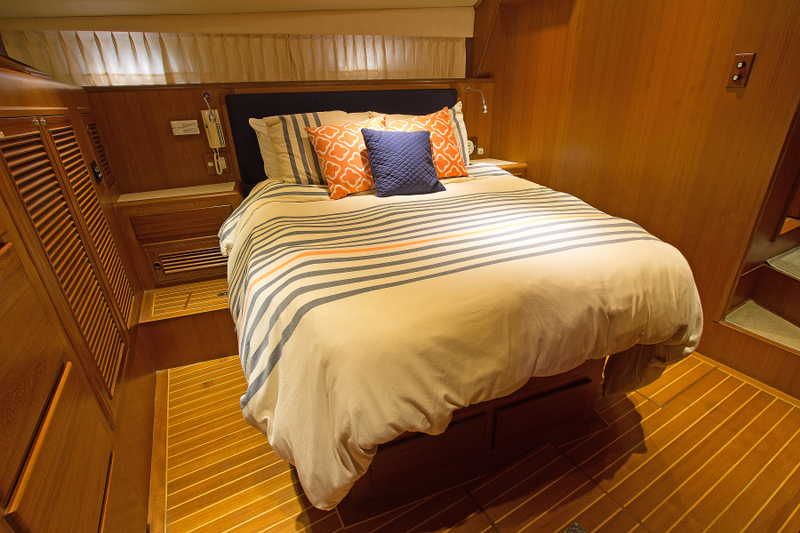 She features a U‐shaped settee to port with a teak expandable high/low table. The settee can convert to a large double berth for additional sleeping. 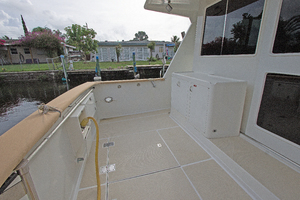 The entertainment center is aft to starboard with a TV, stereo and DVD player. Two barrel chairs are placed to port. locker, washer/dryer, and a large head. 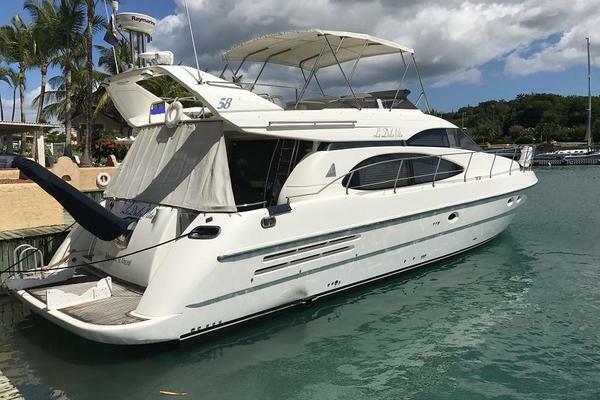 The owners will be quite comfortable on extended voyages. The guest stateroom is forward and is very spacious with plenty of light, ventilation and storage. The head is shared as the day head and features doors to both. 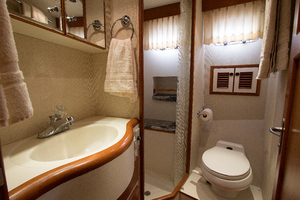 The head has full stall shower, a curved vanity top w/sink and a VacuFlush toilet. 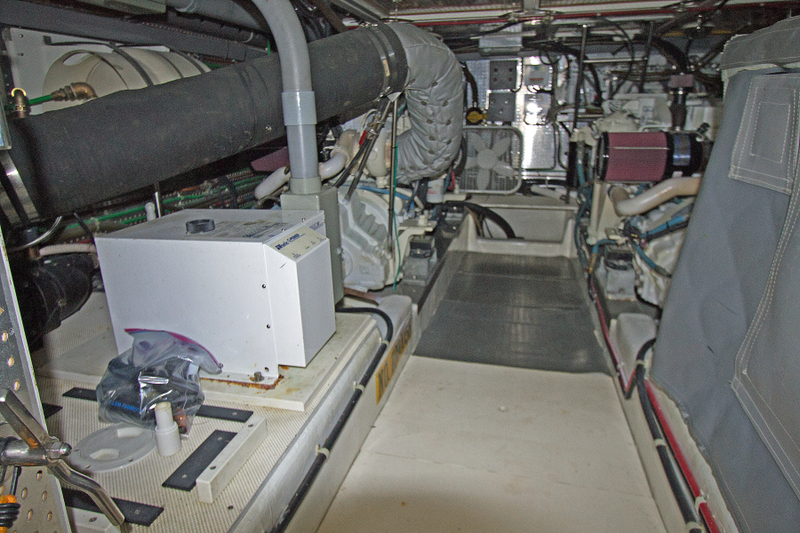 The raised pilot house is command central. 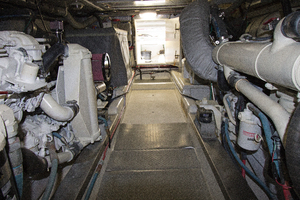 The pilot house is located forward of the galley and 3‐steps up. 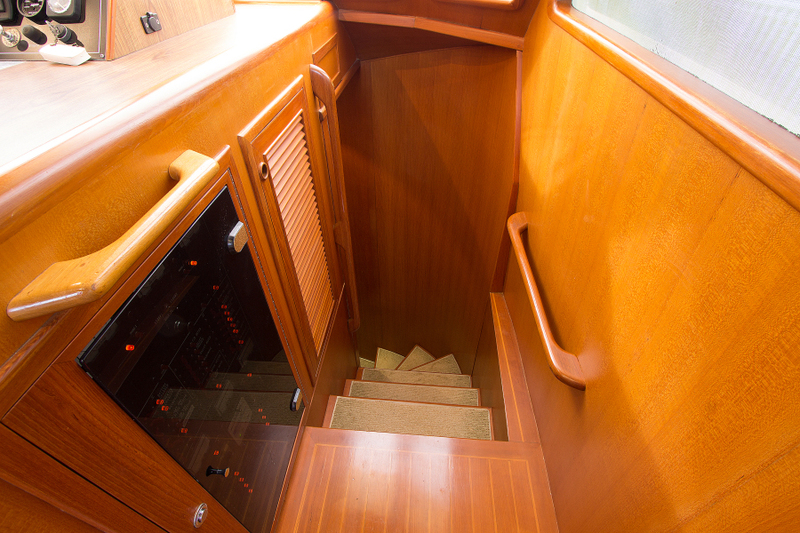 There are sliding doors to port and starboard, stairway to the flybridge, steps down to the galley/salon and a curved stairway down to the staterooms and heads. The layout features a centerline helm with teak and S.S. wheel and a full complement of electronics. 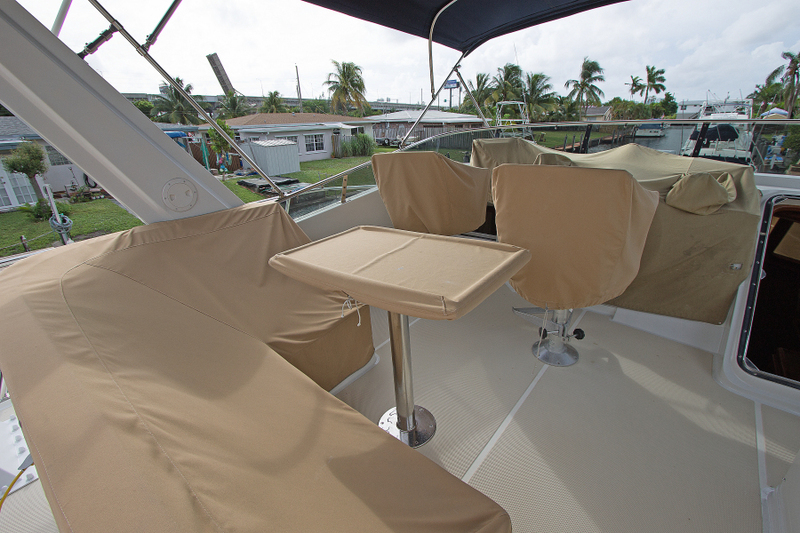 There are 2‐swivel helm chairs as well as a matching leather settee on the aft bulkhead with a drop leaf teak table. There is a functional chart table with plenty of storage to port. The visibility is excellent which makes for a good place to operate in inclement weather. 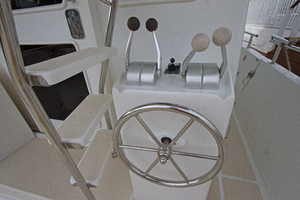 • Hatch to bridge for ventilation/communication.